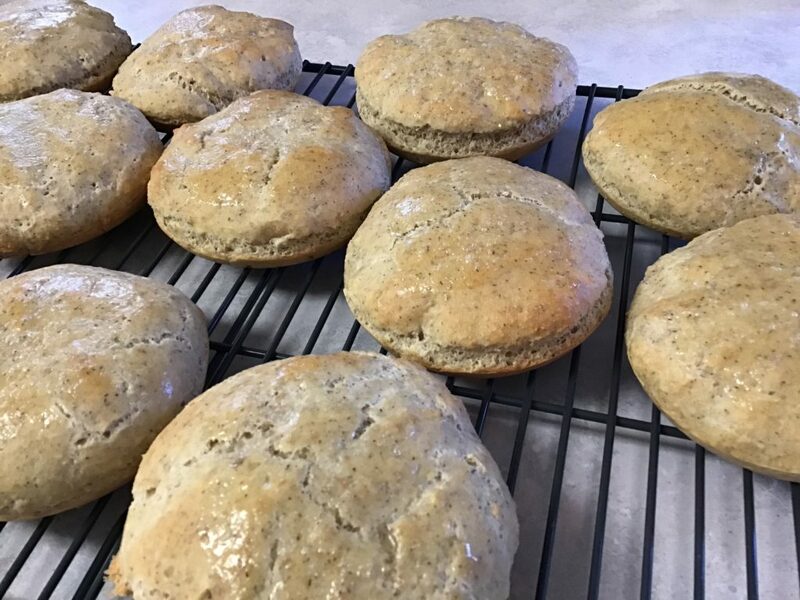 I haven’t made gluten-free buns for a long time. It was time. I have a favorite recipe that I’ve made for years and years. 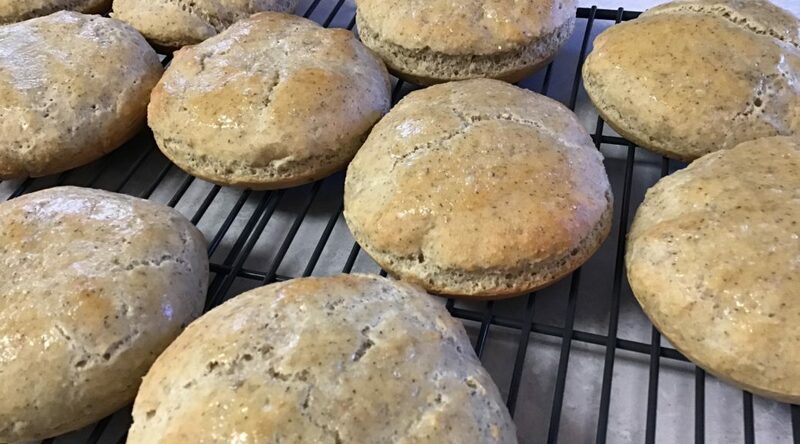 This recipe uses oat flour as a base and they are so yummy. They also don’t take very long to make, as they only have to rise for about 30 minutes and bake for 15. The thing that does take a lot of time for me is rounding up all the ingredients. After I had dug through my bin of gluten-free flours and other products, I was able to come up with everything that was called for. Then, I decided to take the opportunity while it was all out to make up some mixes so I could make this again soon in a hurry. When I was done, I had 4 bags to make up another day. Today, I made a double batch, and will freeze the left-over buns for the future as well. I was delighted to enjoy these yummy treats again. I saved money by making them myself vs. buying buns for between $5 and $6 a package. Since I made a double batch, I got 12 buns. That would be equivalent of 2 packages at the store. Gluten-free flour is not cheap, but it wasn’t $12 for flour for these buns. Also, I had it all on hand! I used up bits of flour that had been around for a long time. 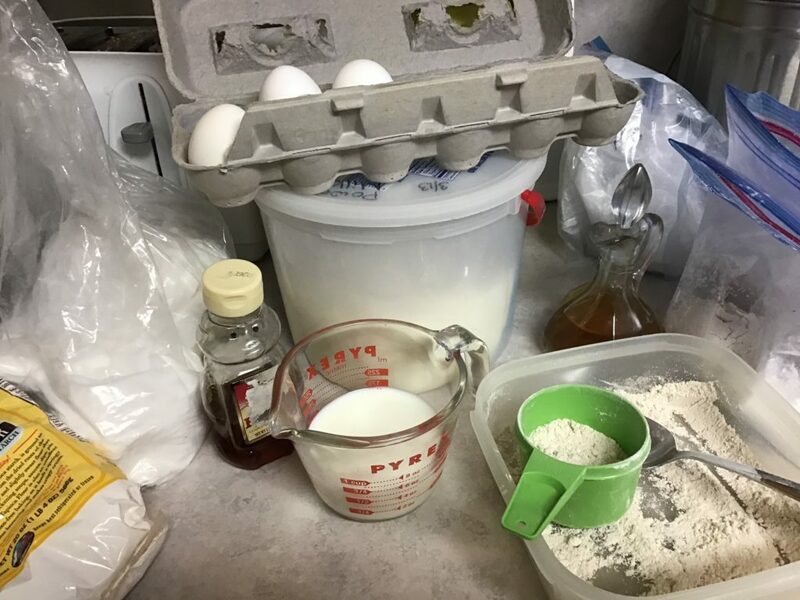 While I was at it, I emptied my gluten-free bin, washed it out, discarded a couple of things that were rancid or really, really old (come on, Becky….pancake mix from 2014? Really? ), and put everything back in an organized fashion. Now, I know what I have and what I need to replace. My January “Use-it-up” project is coming to a close, but I can see there are quite a few items that still need to be used, so I can feel a February project coming on. Big changes in how your blog ‘looks’ – you worked hard to make all the changes Becky. Very easy to see/read. You did what you planned for January. 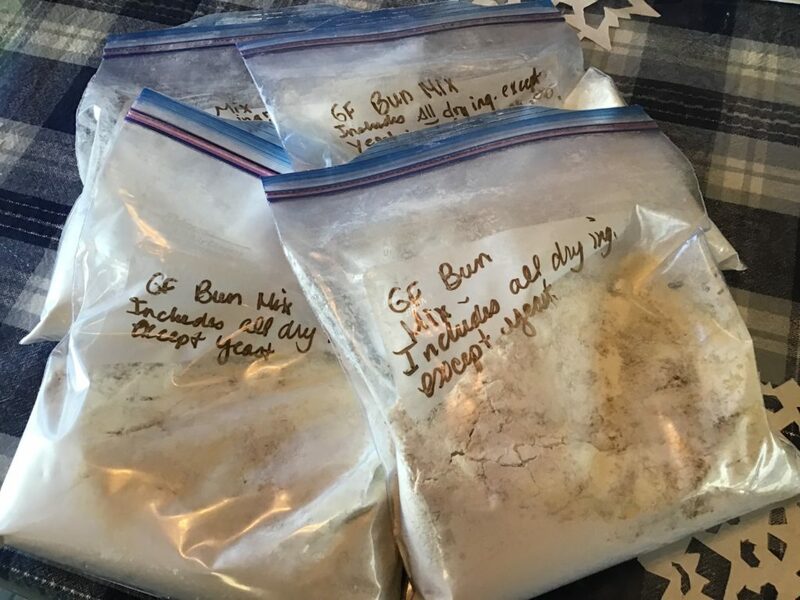 I’m glad you were able to make your GF buns with what you had on hand and I love the idea of preparing mixes and having them on hand for the next time! I’m hoping to do more mix making in the future! It takes so long to find all the ingredients for those buns, and they are so good, so mixes will help a lot.